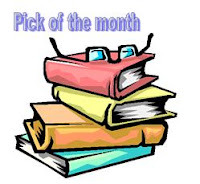 It is an invitation to you to write your own summary post for August 2018, identify your crime fiction best read of the month, and add your post's URL to the Mr Linky below. Do you really know who you kissed goodbye this morning? This story was a real page-turner. Vivian Miller is a CIA analyst who discovers that, for the last 10 years, her husband has been lying to her. She knows what she should do, but if she does, then he, or she, face years of imprisonment. The longer she delays, the deeper the quandary, and the worse the consequences for her family. 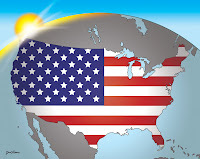 And does the infiltration of US intelligence go much much deeper than anyone likes to admit? Very engrossing read, perhaps not totally credible, but then the author has herself been a CIA analyst. Karen Cleveland spent eight years as a CIA analyst, focusing on counter-terrorism and working briefly on rotation to the FBI. She has master's degrees from Trinity College Dublin and Harvard University. She lives in northern Virginia with her husband and two young sons. Bank's small team is called to deal with 2 deaths, one a young female uni student, and the other a financier in his 60s. At first the deaths do not seem to be murders but there is no way to explain how the bodies came to be where they are. The young woman appears to have died from a drug overdose but she is sitting in a car waiting to be towed away, and she wasn't there just days before. The man on the other hand is at the bottom of a gully on the moors with a broken neck. It seems unlikely that he walked there. Then Banks is notified by a colleague of another dead girl and investigation seems to throw up links with the first girl. I must admit that I came up with a scenario that connected everything up, about 100 pages bcfore the end, but I'm delighted to report that I was wrong! I love the character development in these novels, both of Banks' team getting on with their lives, and the new characters who become part of the investigation. There are references to plots from earlier titles in the series (hard to believe we are up to #25), and I should warn readers that the plots have taken a very different path to those of the television series. Find out what happens to the hapless young detective from Naples who travels to an Italian hillside town to find out ' Who Killed the Mayor?' and the pretentious schoolboy in A Road to Damascus', whose discovery of the origins of his father's wealth changes his life in the most profound way. Revel in the stories of the 1930s woman who dares to challenge the men at her Ivy League university in 'A Gentleman and a Scholar' while another young woman who thumbs a lift gets more than she bargained for in 'A Wasted Hour'. 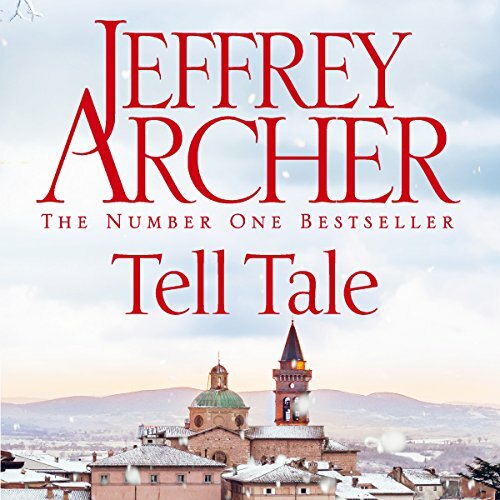 These wonderfully engaging and always refreshingly original tales prove not only why Archer has been compared by the critics to Dahl and Maugham but why he was described by The Times as probably the greatest storyteller of our age. An excellent and intriguing set of short stories, some crime fiction amongst them. The opening 100 word story Unique gets the reader thinking, and the novella The Senior Vice President is wonderful. Well read in this audio book version. 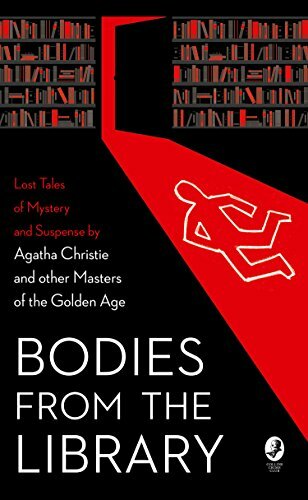 This anthology of rare stories of crime and suspense brings together 16 rare tales by masters of the Golden Age of Detective Fiction for the first time in book form, including a newly discovered Agatha Christie crime story that has not been seen since 1922. At a time when crime and thriller writing has once again overtaken the sales of general and literary fiction, Bodies from the Library unearths lost stories from the Golden Age, that period between the World Wars when detective fiction captured the public’s imagination and saw the emergence of some of the world’s cleverest and most popular storytellers. This anthology brings together 16 forgotten tales that have either been published only once before – perhaps in a newspaper or rare magazine – or have never before appeared in print. From a previously unpublished 1917 script featuring Ernest Bramah’s blind detective Max Carrados, to early 1950s crime stories written for London’s Evening Standard by Cyril Hare, Freeman Wills Crofts and A.A. Milne, it spans five decades of writing by masters of the Golden Age. Most anticipated of all are the contributions by women writers: the first detective story by Georgette Heyer, unseen since 1923; an unpublished story by Christianna Brand, creator of Nanny McPhee; and a dark tale by Agatha Christie published only in an Australian journal in 1922 during her ‘Grand Tour’ of the British Empire. With other stories by Detection Club stalwarts Anthony Berkeley, H.C. Bailey, J.J. Connington, John Rhode and Nicholas Blake, plus Vincent Cornier, Leo Bruce, Roy Vickers and Arthur Upfield, this essential collection harks back to a time before forensic science – when murder was a complex business. This is a fascinating collection of stories and plays by Golden Age authors, including the one that got Arthur Upfield into so much trouble, about the perfect murder, and an Agatha Christie story The Wife of the Kenite published in in an Australian Women's Magazine in 1922. This is the earliest published Christie story that I have read. (See my list here). Most of the stories in the anthology have only been published once, or not previously. Some have worn well, others were more 19th century in their "feel". After each short story is an excellent short biography of the author. The introduction also gave an excellent summary of the Golden Age period. What a productive time it was! Editor Tony Medawar is a detective fiction expert and researcher with a penchant for tracking down rare stories. His other collections of previously uncollected stories include WHILE THE LIGHT LASTS (Agatha Christie), THE AVENGING CHANCE (Anthony Berkeley), THE SPOTTED CAT (Christianna Brand) and A SPOT OF FOLLY (Ruth Rendell). This book is layered like an onion, and we spend most of the reading time working out why Anna, a child psychiatrist, has become agoraphobic. Compounding her problems is the fact that she has become a heavy drinker (in the eyes of her neighbours a drunk) and she mixes her medication with alcohol with the result that she loses track of time, and seems to suffer from hallucinations. She watches her many neighbours through the lens of her camera but rarely takes photos. Anna spends much of her time watching old black and white movies, mainly thrillers, but she often dozes off in them and then confuses their scripts with her actual life. There are lots of mysteries to solve in this story. When Anna thinks she has seen a murder committed she calls the police but even the sympathetic detective and his colleague eventually suggest that she is deluded. A. J. Finn is an American author, born in New York. Finn is a pseudonym for Daniel Mallory. He is an Oxford graduate and former book critic. A. J. Finn has written for numerous publications, including the Los Angeles Times, the Washington Post and the Times Literary Supplement. Finn’s debut novel, The Woman in the Window, has been sold in thirty-nine territories worldwide and is in development as a major motion picture from Fox. A native of New York, Finn lived in England for ten years before returning to New York City. 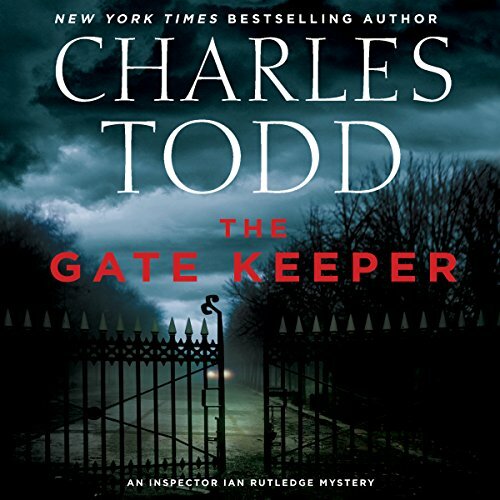 On a deserted road, late at night, Scotland Yard's Ian Rutledge encounters a frightened woman standing over a body, launching an inquiry that leads him into the lair of a stealthy killer and the dangerous recesses of his own memories in this 20th installment of the acclaimed New York Times best-selling series. Hours after his sister's wedding, a restless Ian Rutledge drives aimlessly, haunted by the past, and narrowly misses a motorcar stopped in the middle of a desolate road. Standing beside the vehicle is a woman with blood on her hands and a dead man at her feet. She swears she didn't kill Stephen Wentworth. A stranger stepped out in front of their motorcar, and without warning, fired a single shot before vanishing into the night. But there is no trace of him. And the shaken woman insists it all happened so quickly, she never saw the man's face. Although he is a witness after the fact, Rutledge persuades the Yard to give him the inquiry, since he's on the scene. But is he seeking justice - or fleeing painful memories in London? Wentworth was well-liked, yet his bitter family paint a malevolent portrait, calling him a murderer. But who did Wentworth kill? Is his death retribution? Or has his companion lied? Wolf Pit, his village, has a notorious history: in medieval times, the last wolf in England was killed there. When a second suspicious death occurs, the evidence suggests that a dangerous predator is on the loose and that death is closer than Rutledge knows. Set in 1920. Rutledge is still suffering from post traumatic stress from the war and the recent marriage of his sister brings painful reminders of what life might have held for him. The investigation he takes on into the shooting death of a motorist in the middle of the night in a sense provides a welcome distraction from his war memories and personal life, but in reality there is no getting away from the war and the impact it had on people's lives. The title is a puzzle right to the end. The plot is intricate, and some of the strands tested credibility but as always the character portrayal was excellent. Simon Prebble does a superb job of the narration. Two women. Twenty years of secrets. And a man who doesn't remember anything. Everyone has secrets. What if you can't remember yours? Lily's new husband doesn't come home and she can't find him. Almost simultaneously Alice finds a man who doesn't know who he is. Are they the same man? The novel works its way through these plot strands and we understand that they are edging closer and closer towards each other. 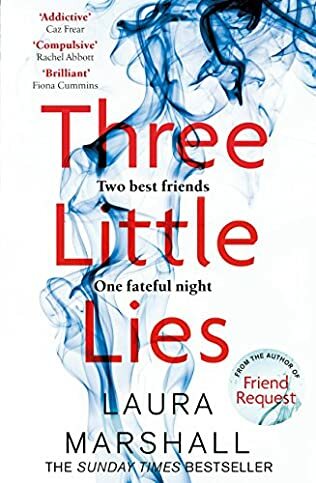 Much of the book describes events from 22 years earlier but its connection to either of these more contemporary plots is not clear until the latter half of the book. 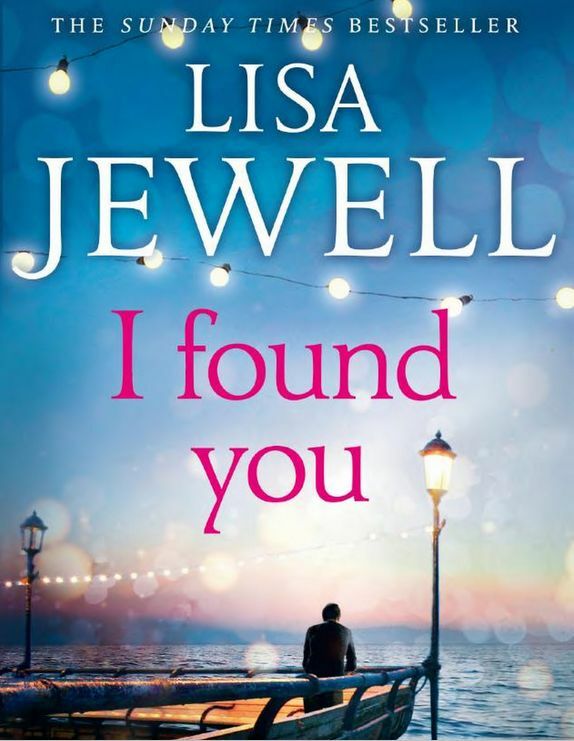 I so enjoyed my first book by Lisa Jewell that I determined to read another, and I've enjoyed this one too. She is an excellent storyteller and her style is very readable. A mysterious murder in a dystopian future leads a novice investigator to question what she’s learned about the foundation of her population-controlled society. Decades after economic and environmental collapse destroys much of civilization in the United States, the Coast Road region isn’t just surviving but thriving by some accounts, building something new on the ruins of what came before. A culture of population control has developed in which people, organized into households, must earn the children they bear by proving they can take care of them and are awarded symbolic banners to demonstrate this privilege. In the meantime, birth control is mandatory. Enid of Haven is an Investigator, called on to mediate disputes and examine transgressions against the community. She’s young for the job and hasn't yet handled a serious case. Now, though, a suspicious death requires her attention. The victim was an outcast, but might someone have taken dislike a step further and murdered him? In a world defined by the disasters that happened a century before, the past is always present. But this investigation may reveal the cracks in Enid’s world and make her question what she really stands for. This novel couples crime fiction with science fiction in a dystopian view of America in one hundred years' time. Much was lost during The Fall, when political, social and technological chaos resulted from some sort of cataclysm. The population has been decimated by pestilence and the large cities have gone along with most of their populations. An interesting read. Investigators Enid and Tomas have been sent to a nearby community to investigate a serious death reported by one of the community leaders. The man has already been 4 days dead by the time they arrive, and nobody wants to give them any information. It appears Ariana, the community leader who has requested the investigation actually has another agenda altogether. Carrie Vaughn is the author of the New York Times bestselling series of novels about a werewolf named Kitty. 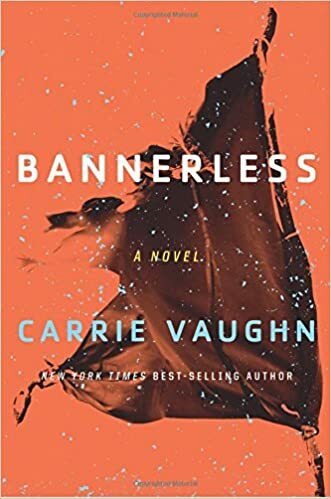 She also writes for young adults (her novel STEEL was named to the ALA's 2012 Amelia Bloomer list of the best books for young readers with strong feminist content), the Golden Age superhero series, and other contemporary fantasy stories. She's a contributor to the Wild Cards series of shared world superhero books edited by George R. R. Martin, and her short stories have appeared in numerous magazines and anthologies. She's a graduate of the Odyssey Fantasy Writing Workshop, and in 2011, she was nominated for a Hugo Award for best short story. Members of London's famed Detection Club have joined together to honor Peter Lovesey, winner multiple times of the Crime Writers Association Gold Dagger and Silver Dagger, and Cartier Diamond Dagger for Lifetime Achievement. He has also won the Mystery Writers of America Edgar for Best Novel, as well as Grand Prix de Littérature Policière. He is the creator of Victorian sleuths Sergeant Cribb and Constable Thackeray, Inspector Peter Diamond, and the almost true-to-life Bertie Prince of Wales. The Detection Club was founded in 1930 by Anthony Berkeley. Its first Honorary President was G.K. Chesterton, to be succeeded by such luminaries as Agatha Christie, Dorothy L. Sayers, Julian Symons, and H. R. F. Keating. The current President, Martin Edwards, has edited this collection of new stories. Motives for Murder contains new stories to honor Peter Lovesey by some of the greatest names in current crime writing. With an introduction by Martin Edwards who edited this collection, a foreword by Len Deighton, a final response by Peter Lovesey himself this is a lovely collection of specially written short stories honoring Peter's 80th birthday. Like so many of the contributors I remember reading Peter's debut novel WOBBLE TO DEATH, and have followed his writing over the years, both in his various series, and his stand alone novels. and I read a great many before that. Many of the contributors paid homage by setting their story in one of the settings that Peter has used. 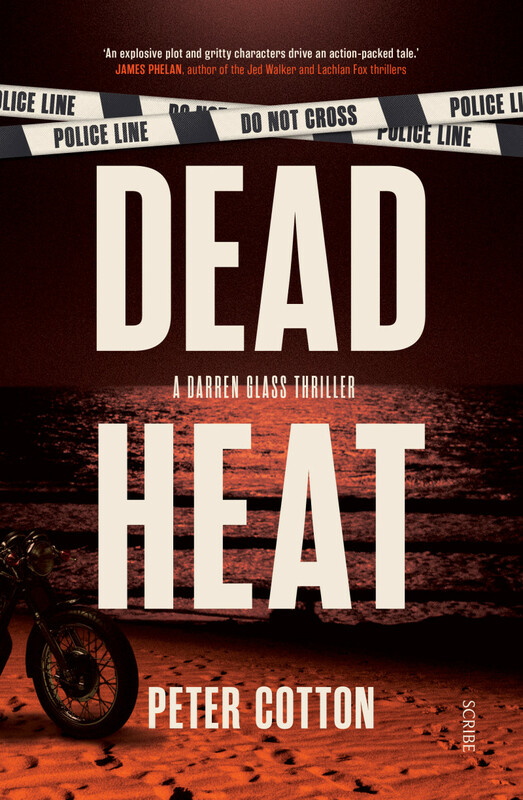 If, like me, you like crime fiction short stories, you'll enjoy this collection. She was fifteen, her mother's golden girl. Ellie disappeared on her way to the library. No CCTV to help, house to house searches revealed nothing. The police thought she had run away, and eventually the discovery of her bag with some clothes seemed to confirm that. Four years after her disappearance someone burgled the house, as if Ellie had come back to retrieve some belongings. In the aftermath of Ellie's disappearance Laurel's marriage collapsed, her brother and sister left home, and Laurel's husband Paul found a new woman. I did have some doubts about the credibility of parts of the plot but that did not prevent me from either enjoying or finishing the book. 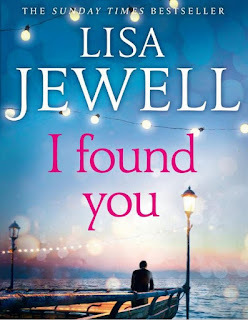 Lisa Jewell really is an author that I read need to read more books by. I've been here in one form or another for A Very Long Time Indeed. My first book, Ralph's Party, came out in 1998, when I was still a young person and when some of you may not yet have been born. Since then I have written and published another fourteen books, from the 'curry and flatmates' novels of the nineties and noughties like Thirtynothing, One Hit Wonder, A Friend of the Family and Vince & Joy, to more serious 'themed' novels like After The Party (marriage), The Making of Us (sperm donation) and The House We Grew Up In (hoarding) to my more recent domestic thrillers, like The Third Wife, The Girls, I Found You and Then She Was Gone. I live in London with my husband, two daughters, two hairy cats, two nervous guinea pigs and a very lovely auburn dog. I write every day, a minimum of one thousand words, in a cafe, with no access to the internet, in two to three hour sessions. It's a very good life. See what others have chosen, and add your pick of the month. Sasha North has gone missing. Everyone says she's run away, but I know better. We've been best friends since we were teenagers, since Sasha swept into the neighbourhood and brought colour to my life. Until a brutal attack changed both our lives forever. I know what happened that night. I know who wants revenge. And if Sasha has been taken, does that mean I'm next? Ellen and Karina watch with interest the arrival of a new family to the house across the road with two teenage sons and a daughter their own age. The house becomes the focus of parties thrown by the parents and Ellen feels that the mother Olivia is so much more modern than her own staid parents. Ellen and Karina, once bosom buddies, become rivals for the friendship of the foster daughter Sasha. The story spans a 12 year period, with two main narrators Olivia and Ellen. It opens in a courtroom with one of the boys on trial. A good read with a slightly predictable twist in the final pages. In 2015 she decided it was time to fulfil a lifetimes ambition to write a novel, and enrolled on the Curtis Brown Creative three month novel writing course. Her first novel, Friend Request, was runner-up in the Bath Novel Award 2016 and shortlisted for the Lucy Cavendish Fiction Prize 2016.